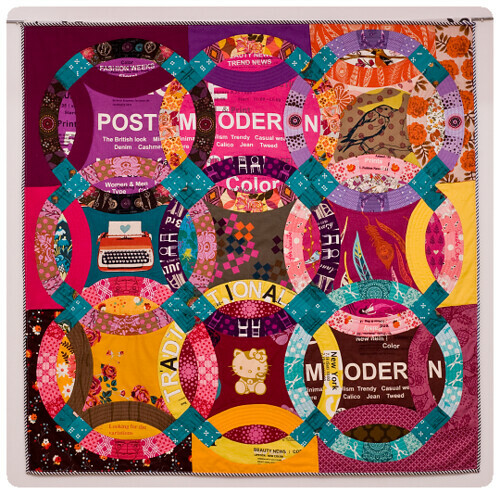 Welcome to my stop on the Quilty Bucket List blog hop hosted by Stacey at the Tilted Quilt! 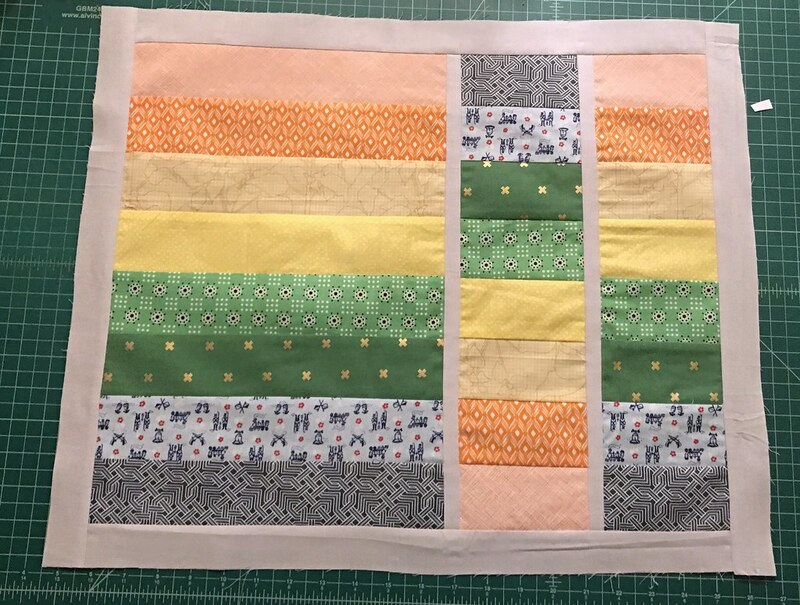 Back in January I ran across a post by Stacey discussing her list of projects for the year and asking if anyone would be interested in participating in a blog hop to discuss our quilty bucket list. I left a comment in the affirmative, and lo and behold, a few weeks later I got an email listing the participants. To take a page out of Molli Sparkle’s book – can I just say I am so honored to be included?! Thanks Stacey! I have the distinct advantage of being one of the last to post my list – I got to see everyone else’s list first! That hasn’t helped make my list any shorter – it has only grown with every post I’ve seen. A new idea, a new goal. It all keeps adding up. My list encompasses shapes I’ve never tried, some traditional patterns, as well as some general quilting goals. 1. Perfect my 1/4″ seam: Many of the items on my list require a much more accurate 1/4″ seam that I’m used to using. I’ve been able to get away with a lot, but there are some patterns and shapes I just can’t work with because I am not as accurate as I need to be. 2. 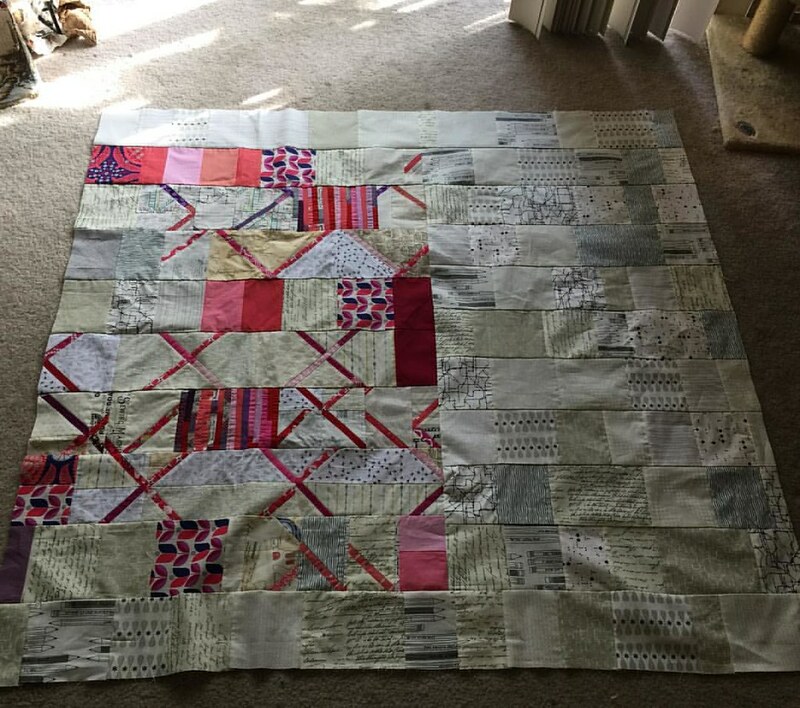 Sampler quilt: I’ve finally started this! 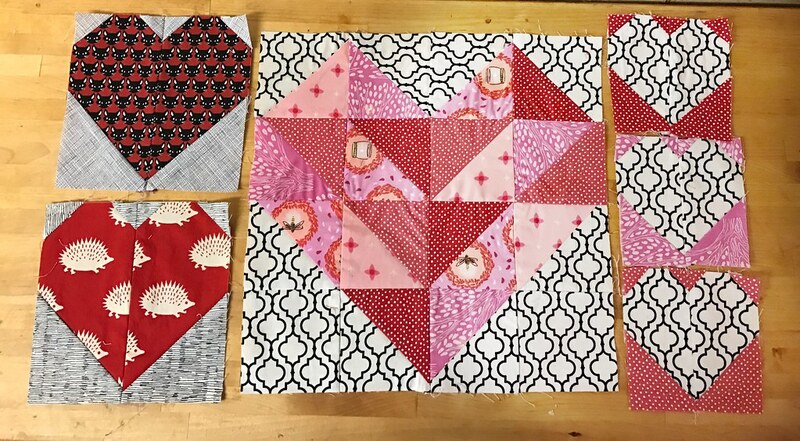 I’m working on a Vintage Quilt Revival sampler plus 16 blocks from 501 Rotary Cut Blocks. I’ve been terrified to start one of these because of my issues with the 1/4″ – I was afraid they would come out wonky or too small, but so far I’m 3 for 3! I’m using all Denyse Schmidt fabric. These finish at 12″. I’m working up my nerve to consider a Farmer’s Wife with 6″ blocks but that requires even more precision. 3. 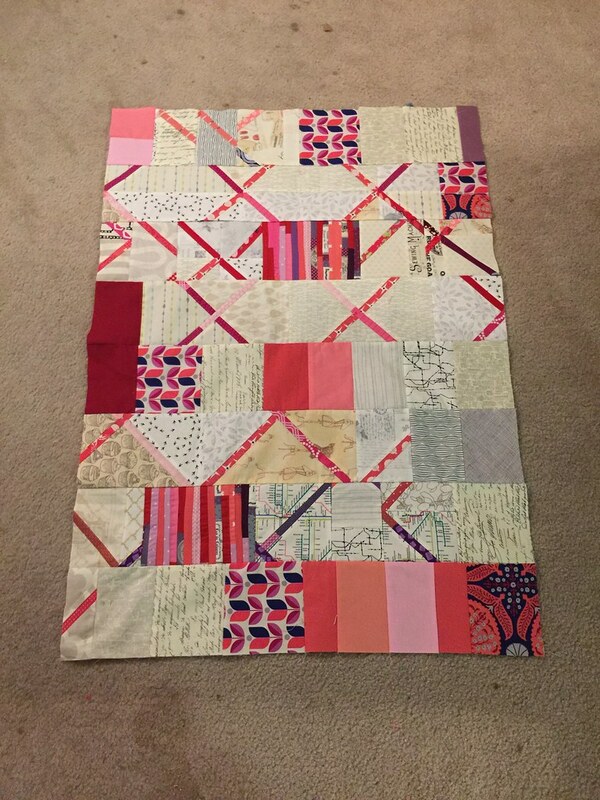 Strong Diagonals: I’ve been in love with strong diagonals in a quilt for a long time. I think they are really striking. I’ve been collecting ideas for a while via pinterest and I am especially in love with these vintage posters. The math scares me though. 4. Diamonds: I love the look of diamonds in quilting, tile, wallpaper, and other pattern-making arts, however like strong diagonals the math makes them seem really scary. Here, too, I’ve been collecting ideas via pinterest. 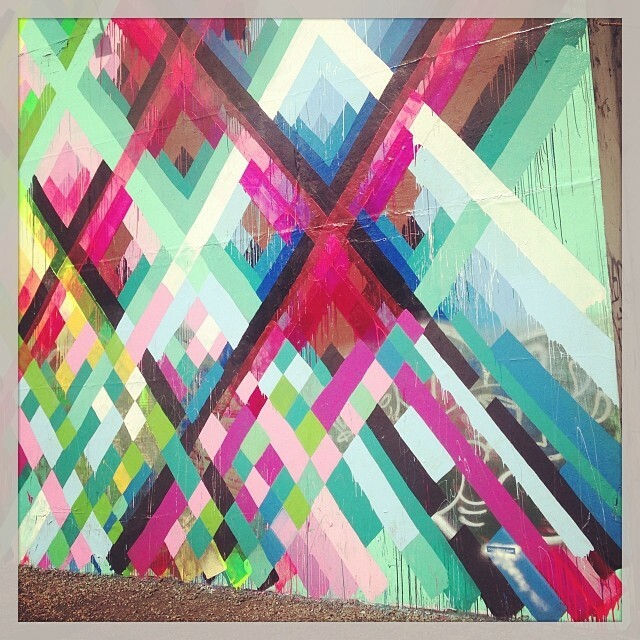 I’m also super inspired by the current incarnation of the Bowery Mural. My friend Sara posted this photo on Facebook and I just love it. 5. Jaybird Quilts Pattern: Next up is a Jaybird Quilts pattern – probably Night Sky – using her differently-shaped rulers. I love the look but the different shapes have me wary. 6. Triangles / 60 Degree Shapes: I love the look of 60 degree triangles and shapes. I ran across a tutorial once that detailed how to work with all 60 degree shapes, not just triangles. I’m considering it for my next Do. 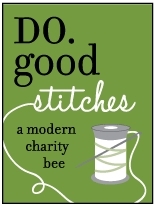 Good Stitches quilt – tackling something scary as a group seems more approachable than just doing it by myself. 7. Medallion Quilt: I’ve loved the Marcelle Medallion quilts from the start, but this is definitely a place where an accurate 1/4″ seam is critical. Otherwise those borders aren’t going to fit. 8. 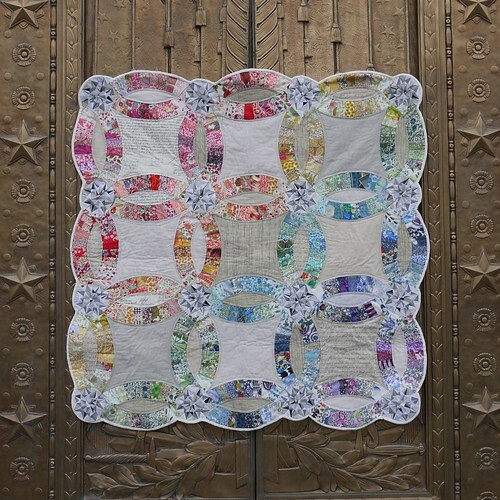 Double Wedding Ring: I’m not in love with the traditional double wedding ring quilts but there have been some that came out of the DWR Challenge last year that are totally inspiring and that have changed my whole view on the matter. I love these new twists and the fussy cutting on the Autumn Spin quilt is just phenomenal. 9. 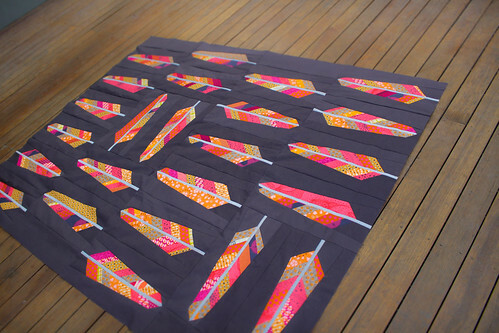 AMH Feathers: Another quilt I’ve actually started. Well, sort of. I knew templates would be a no-go for me, for a number of reasons but the biggest one being I wanted to use my strings and vary the width of the feather segments at will. I spent a few hours piecing the templates together in Illustrator and making a paper pieced version instead. 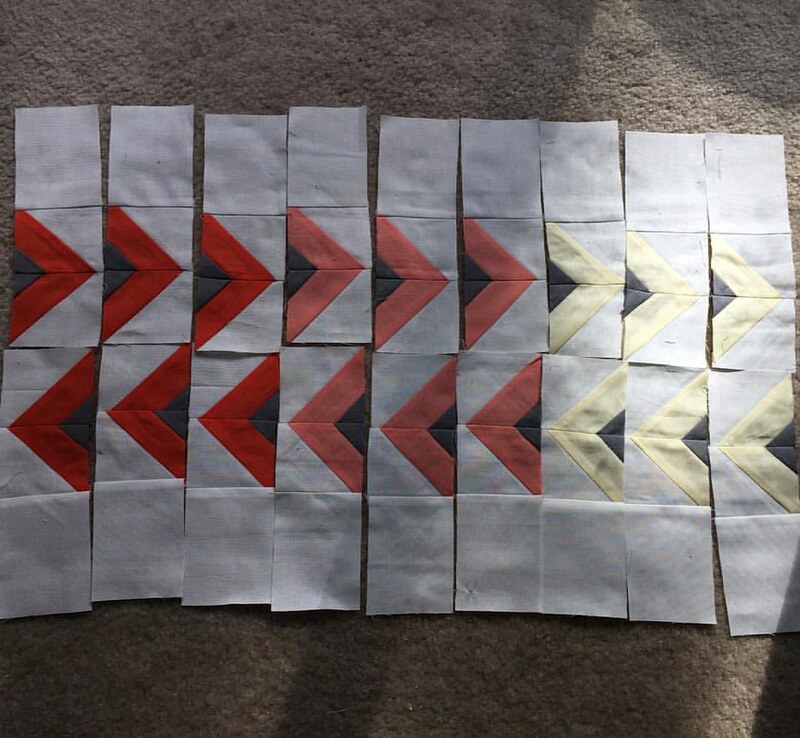 I have had 72 templates printed off using a plotter, so I’m theoretically ready to go, but I have not yet started sewing. I need to decide on a background. I love the depth the various shades of gray give the first example, but I’m also OBSESSED with Amy / Badskirt’s version using a charcoal background. 10: Bear Paw: A classic Bear Paw on my list as well. I want to spice it up and I love this version with the tonal variations. 11. Y-Seams: Y-Seams is something I haven’t tackled, but having watched a lot of Eleanor Burns reruns lately they really don’t seem too hard. Something like these Castle blocks might be a great starting point. And they even include diamonds. 12. 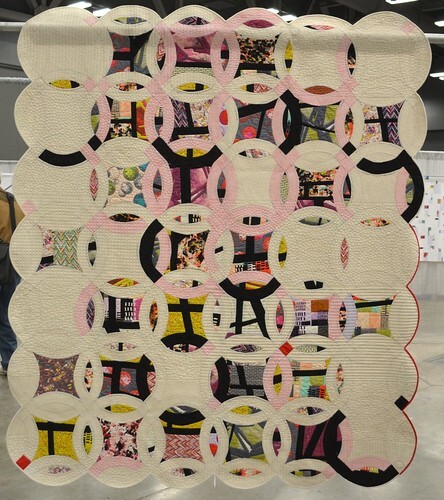 Enter Quilt Shows: My last goal is to enter at least one quilt show this year, whether it be the Montgomery County Fair or QuiltCon, I want to get one under my belt. The only hangup might be the entry timing depending on when I can get sewing again after my shoulder surgery. 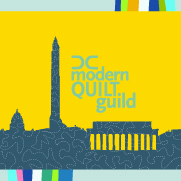 It looks like the QuiltCon deadline is November 30 of this year, so I should definitely be ready for that. Well, that’s my list. What’s yours? Link up a post on your list by 31 March below! Wow! This is a pretty terrific list! Love that you add skills you want to master, as well as actual projects. Good luck and have fun! Thanks Debra! I think it’s important to work on all of the above! Have you linked up your list? I’d love to read it! Carla – this list is amazing! You have taken my quilty desires into unchartered waters, girl! I will be checking a few of your items off my list this year (DWR in show, two birds meet one stone!) and let me tell you it feels great!! Thanks so much for playing along with me this month – I really appreciate you! Stacey – thanks for letting me play along! I am glad you like my list. I am hoping even with shoulder surgery next month that I’ll still be able to tackle some of this list this year.